**iPad Portfolio from ahalife. Price: $156.00. Discount: $39.00. Categories: Women, Fashion, Bags, Sponsored. Deal Rating: 4.5 Stars out of 5. Store Rating: 5 Stars out of 5. Deal Recommendation: Recommended. Available Until: Limited Time Deal. Thoughts: A stylish and functional way to carry your iPad. This sleek, handmade leather portfolio is dyed, sealed and cut in house and finished with contrasting waxed nylon thread stitch detail. 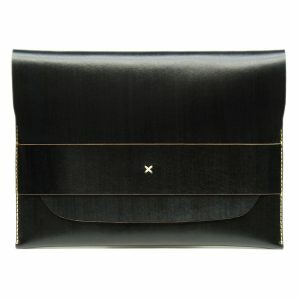 Single unlined pocket fits all standard iPad models. **Kaufmann Weekender Bag (Black) from ahalife. Price: $299.00. Discount: $96.00. Categories: Women, Fashion, Bags, Sponsored. Deal Rating: 4.7 Stars out of 5. Store Rating: 5 Stars out of 5. Deal Recommendation: Recommended. Available Until: Limited Time Deal. Thoughts: Our exclusive Weekender bag is designed to make every trip easier. Sturdy construction with heavyweight canvas, premium leather and brass hardware will withstand years of wear while remaining timeless in design. Carry-on size with adjustable, removable strap. © 2019 Women's Fashion Deals. All rights reserved.